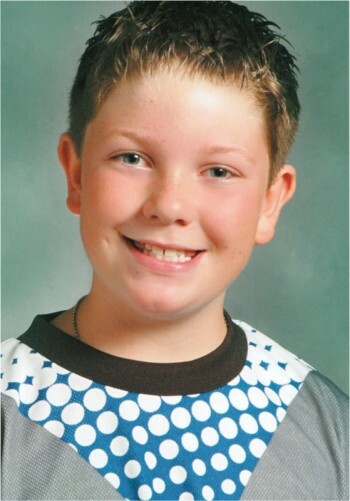 At 11 years old, Ben Delain was a normal young man full of promise and hope. He was doing well in school, had friends, and loved new experiences. Ben was mature beyond his years. His discussions were a bit more philosophical than you would expect. Maybe it was this aspect combined with a tender heart that made Ben special in his way. One aspect of Ben was that he hated to see any kind of “hurt” in the world. When Ben saw a Humane Society ad for animals he would want to run out to adopt an animal. If he saw an animal on the street he would ask to stop so it wouldn’t get hurt. People in need were especially important to Ben. Ben saw people and wanted to share with them. If Ben would see a person asking for food, he would want to stop. If he had a snack, it would be shared. On the occasion no snacks were available, maybe a restaurant gift card or coupons could provide a warm lunch. So it was on August 16 of 2007. On the way to a family vacation, Ben was riding with his cousin through Wausau, WI. A homeless person was asking for food at a highway interchange. Ben asked to stop for a second while he frantically searched the snack bag sent along for the trip. After pulling out an apple, he rolled open the window. With a gentle toss, they were on their way again. Along the lines of his life, Ben’s Wish is a program to provide food for the hungry around us. We find that we are all in need at times in our life. Caring for each other is a universal tenet for humanity. This point crosses all political, social, ethnic, and religious barriers. The goal of Ben’s Wish is to bring together organizations that are already involved with the public with those dealing with the needy. Local communities have parades, fireworks displays, and many other social events. Many of these events have no cost of admission. Bringing the community together with the organizations such as the food pantries at these events can go a long way toward meeting the needs of the hungry around us. The promise of Ben’s life was cut short. In an accident on Aug 18, 2007 Ben left us with the need to fulfill this wish in his place. Together we can carry forward the promise of Ben’s Wish. We can reach out to each other, to show that none of us hurts or is hungry.